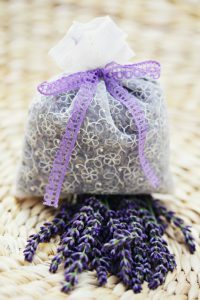 Aromatherapy is a useful tool for hospice care providers, and can help relieve tension and provide comfort to patients. Read on to learn how Samaritan Hospice uses aromatherapy and how it benefits patients. The use of essential oils for therapeutic purposes goes back to a number of ancient civilizations including the Chinese, Indians, Egyptians, Greeks, and Romans who used them in cosmetics, perfumes, and drugs. How is Aromatherapy Used For Hospice Patients? There are a few types of aromatherapy applications. However, Samaritan Hospice uses a method called aerial diffusion which allows the fragrance to diffuse into the environment through a sachet or small perfumed bag. The two primary oils used are lavender oil and orange oil. Orange (Citrus sinensis) essential oil has a rich, fruity scent that lifts the spirit while providing a calming influence on the body. Orange brings peace and happiness to the mind. Orange oil is used to relieve spasm, stimulate digestion, combat tumors, stop blood from clotting, and relieve depression. Though not required or covered by Medicare, Medicaid and many private insurers, Samaritan’s hospice aromatherapy services are made possible through generous donations to Samaritan. It’s one of the many services that sets Samaritan apart from other hospice service providers.